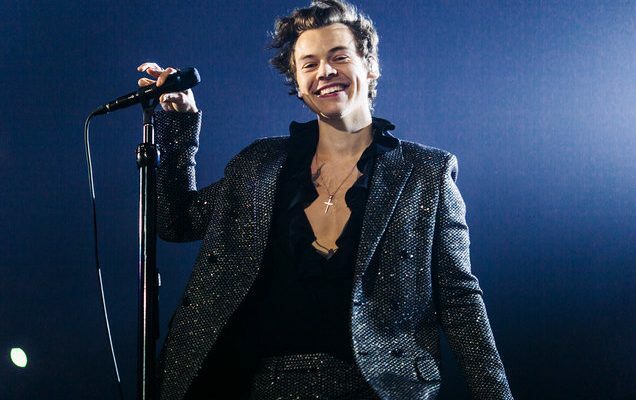 The second European leg of Harry Styles‘ self-titled tour drew to a close last night (April 16th) but it wasn’t without some mischief. The former One Direction heartthrob couldn’t say goodbye to his opening act Mabel without playing a practical joke. She was mid-performance when Styles made a surprise appearance onstage alongside her. The “Sign of the Times” singer then sprayed Mabel in a web of silly string, gave her a hug, and then ran offstage. Video of the prank was posted by Mabel and was followed by a “thank you” from Styles to all his fans and his supporting artists. Styles will pay visits to Australia, Asia and South America before sweeping through the U.S. again in June and July. Kacey Musgraves will serve as the opening act for the final leg of the North American tour in the U.S. and Canada.